Welcome to Episode 5! This week’s conversation is with Thad Lanthripe. 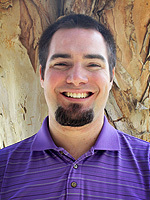 Thad is the Administrative Pastor at Church in the Valley, in Diamond Bar, CA. and in 2013 made a transition from a business career to vocational ministry in the local church.